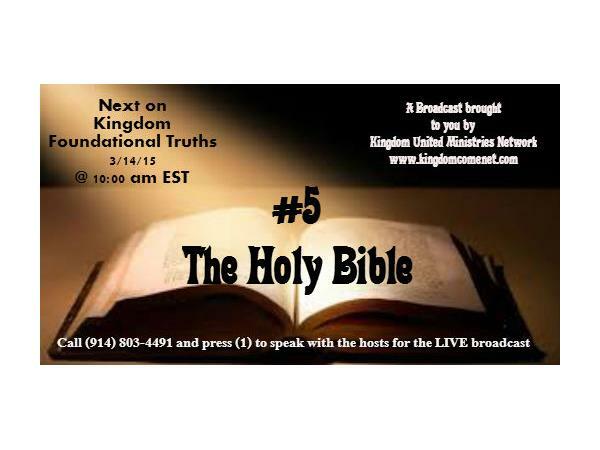 KFT #5 "The Holy Bible"
Ambassador Winston T. Lewis Jr. Call (914) 803-4491 to join in the LIVE broadcast and comment or Call (844) 755-kumn (5866) ext. 801 to leave a recorded message by Thursday 3/12/15, 6:00 pm EST. to be played on the broadcast. What every Christian should know "Second Nature"
Visit our page at Kingdom United Ministries Network to view the complete list and to listen to archives of the previous broadcasts. Invite others and share, You are welcome!